The rigid WAN infrastructures of yesterday weren’t built to support the increasing adoption of cloud-based apps and services. They weren’t designed to optimize the distribution of bandwidth for cloud apps, and so resources end up going to waste. This resource examines how managed SD-WAN offers a modern alternative to tackling the bandwidth utilization challenge. 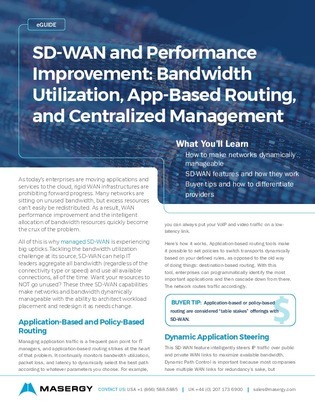 Learn about 3 SD-WAN capabilities that make networks and bandwidth dynamically manageable with the ability to architect workload placement and redesign it as needs change.